Featherweight tournament – Grand Prix Final Four in the 65 kg category. Stanislav Renita against Cristian Spetcu and Dmitrii Sirbu against Francesco Picca will face each other in the semifinals. Which one of the four will be the winner, who will have enough strength for the final, who will earn the championship belt – we’ll find out Saturday, March the 30th. We’ll see whether Nicolae Caraus is able to overpower his rival Dragos Imbrea. Both are young and forceful!!! 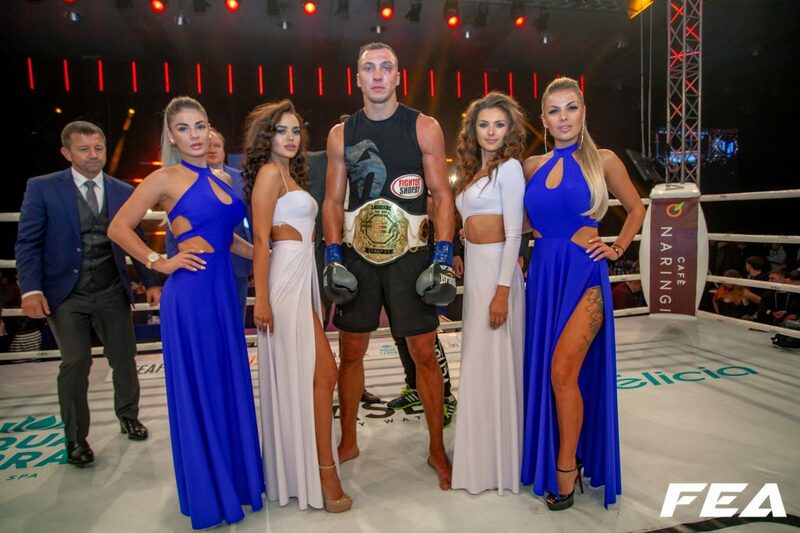 Welterweight Tournament – Grand Prix Final Four under 77 kg. Four K1 stars will challenge their right to become the absolute champion. First semifinal: the titleholder, Constantin Rusu versus Benjamin Masudi. Second semifinal: Cristian Dorel versus Fikri Arikan. Only two will meet in the final battle for the championship belt. March 30th, 2019, FEA WORLD GP vol.28 – FORTUNE FAVORS THE BRAVE.